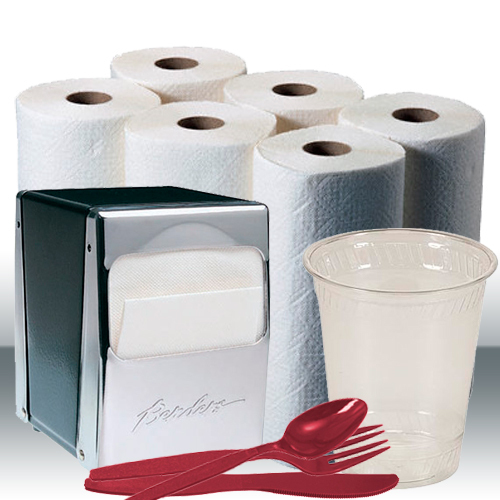 We deliver Cups (Styrofoam, Paper or Plastic), Paper Towels, Toilet Tissue, Napkins, Stirrers, and Plastic Utensils. If you have questions about this service please call us. Absolute Bottled Water is a locally owned and operated business. All content on this site is protected by copyright law. There is no unauthorized copying or reproducing of any material within this site without specific written permission granted by Absolute Bottled Water.